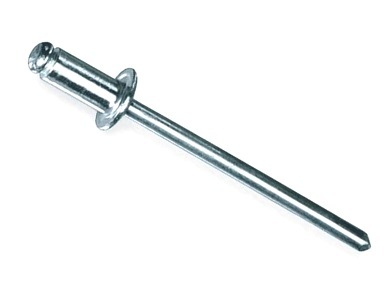 PRODUCT: 1/8 x .063 - 0.125" (1/16 - 1/8") GRIP, ALL STAINLESS STEEL BODY/MANDREL, BUTTON HEAD (OPEN/DOME), BLIND POP RIVETS. PRICE/100. 1/8 x .063 - .125 INCH (1/16 to 1/8 in.) GRIP, ALL STAINLESS STEEL BODY/MANDREL, BUTTON HEAD (OPEN/DOME), BLIND POP RIVETS. 10,000/BOX. PRICE/BOX.